My name’s Drew, and I’m a growth marketer with a technical background. Unlike most marketers, I got my start on the product side while pushing code as a growth engineer. My role naturally transitioned into marketing where I helped lead Bugcrowd to a 10x YoY increase in revenue. I have experience across the marketing stack (eg. Marketo, paid platforms, A/B testing) and consider myself a pragmatic, experiment-driven growth marketer. 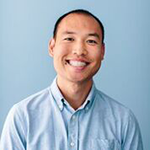 For the last five years, I’ve been working in growth and digital marketing in the Bay Area. As of summer 2018 though, I’ve relocated to my childhood home of Seattle to fix up my new home and am now getting involved in Seattle’s tech community. When I get a spare moment, I enjoy wholesome meals, being active, and continuing my learning. From user acquisition hacks to how to master pan fried scallops, I’m constantly working on my development as a professional and person. Most recently, I worked at Bill.com, a FinTech startup that recently raised over $100m led by JP Morgan Chase. Initially hired as a Digital Marketing Manager, my role expanded as I increased my duties and worked with the engineering team as a Growth Product Manager focused on increasing network virality. My inception into tech began in college with I co-founded a project-turned startup that had us pitching to angels and VCs as juniors in College. It allowed me to opportunity to work for high-growth startups during my senior year, such as Grubwithus (YC W11). Bill.com is the leading business payments network with over 2.5 million members processing over $50 billion per year in payment volume for over 100,000 customers. Bill.com helps businesses connect and do businesses by saving them more than 50 percent of the time typically spent on financial back-office operations. Bloc is a mentor-led online bootcamp for aspiring developers. Our structured programs combine 1-on-1 mentorship and original, industry-vetted curriculum for a more accessible and effective alternative to an offline bootcamp. Bugcrowd is changing the world of cybersecurity. For the better. By combining the power of the crowd with a powerful management platform, we’re able to bring the expertise of the largest crowd of researchers to quickly identify and solve your security issues. Cost-effective and far faster than standard vulnerability programs, Bugcrowd offers Responsible Disclosure and Bug Bounty programs as well our Flex Bounty Program, a limited time, fixed-cost introduction to the benefits of crowdsourcing. 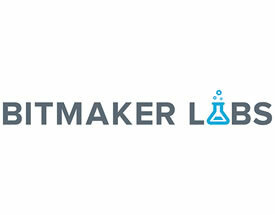 Bitmaker Labs is a 9 week rails development bootcamp. I attended the May-Aug 2013 cohort. After working in Sydney, Australia for two years, Bitmaker Labs allowed me to transition back to North America and upskill myself as a full-stack developer. I chose this program because of it was the cheapest and I always wanted to spend some time in Toronto. Much of web dev is teaching yourself how to code and solve problems, so I felt this program would at the very least give me the tools necessary to learn on my own. It’s done more than that, preparing me as a full-stack rails dev. My passion for startups began in college when I co-founded Hangchillparty, a web and mobile application built for the continuously evolving social ecosystems of college dorms. It was an instant way of letting groups of friends know when you were free to socialize. This experience taught me keys to design, pitching to angels/VCs, and how to file patents. Hangchillparty provided evidence of my startup work ethic. I was then persuaded to join Kar.ma, a social marketplace for buying and selling goods for the benefit of charity. It was here where I saw why most startups don’t succeed and the pains of raising money when the team and product just isn’t there. If you’ve read this far, you may be wondering why I’ve hopped around so many companies. I’ve always had the goal of co-founding a startup or joining a talented team, but to do this, a hodgepodge of startup experiences is important in understanding what has made companies succeed and fail.